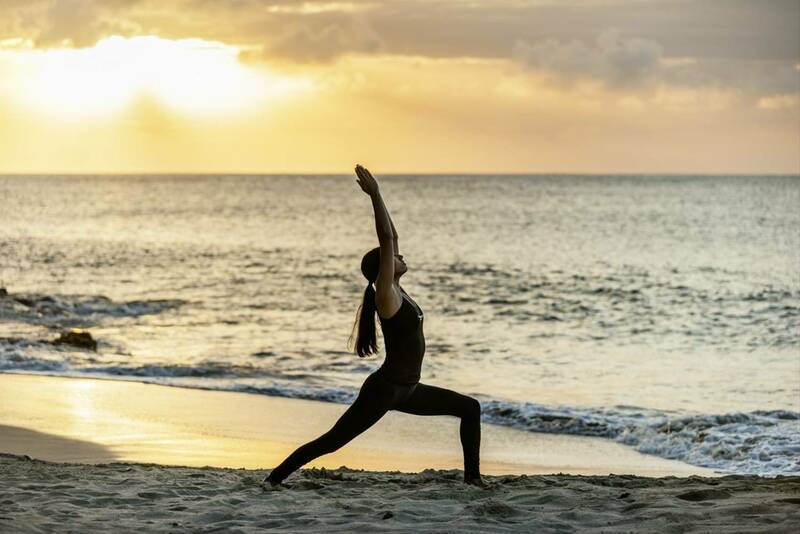 St. Lucia's luxurious island resort provides a personal service of spa treatments, therapies and activities based on the four pillars of exercise, good diet, restorative beauty and relaxation. The spectacular landscape of natural waterfalls and unspoilt rainforests creates a perfect island paradise - and the resort offers every pastime possible. 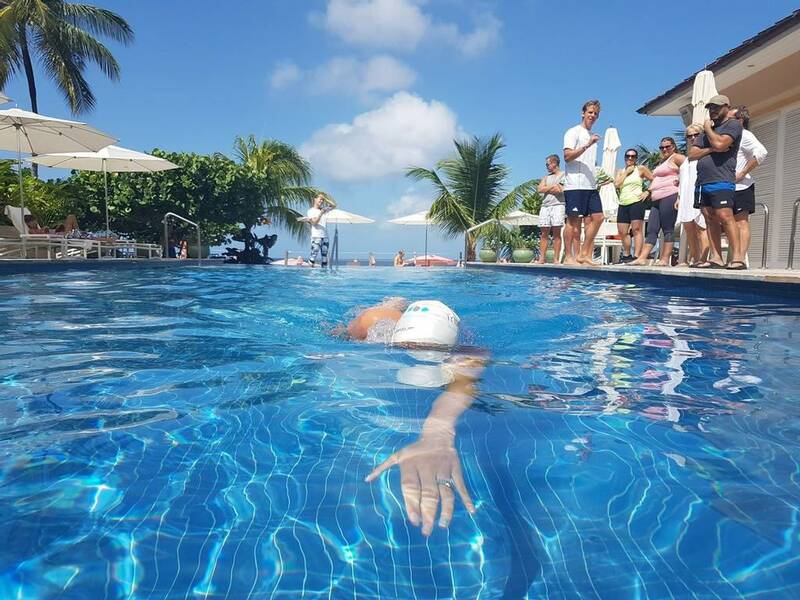 Guests can enjoy the use of an 18-hole championship golf course, 3 swimming pools, a class studio, PADI diving, tennis courts, fitness classes and an award-winning spa. There is a range of treatments at the spa, all designed to help enhance your well-being, on top of this they cater for every taste in food and drink with three great restaurants and relaxing bars to choose between. 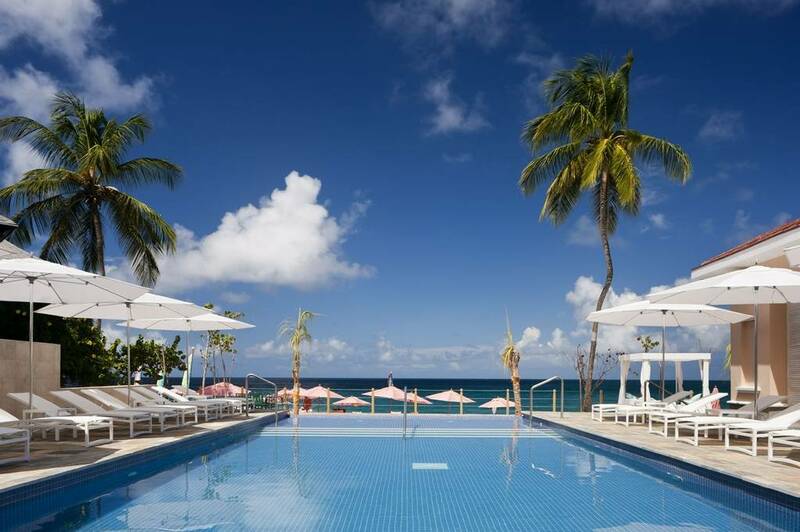 This luxurious spa resort on the island of St. Lucia sits on Cariblue's crescent shaped beach, and is surrounded by acres of unspoilt rainforests and natural waterfalls. 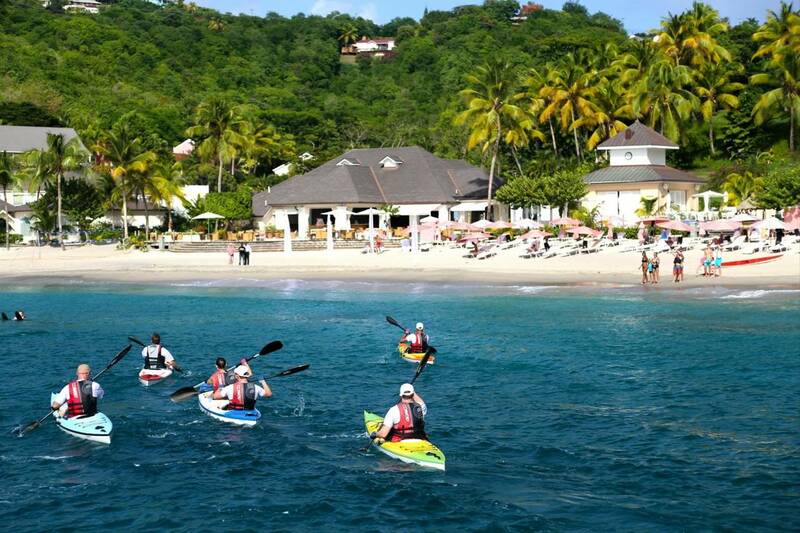 There are plenty of destinations to visit around the area, from Pigeon Island, an old pirate hideout, to Rodney Bay Marina, a premier yachting destination. 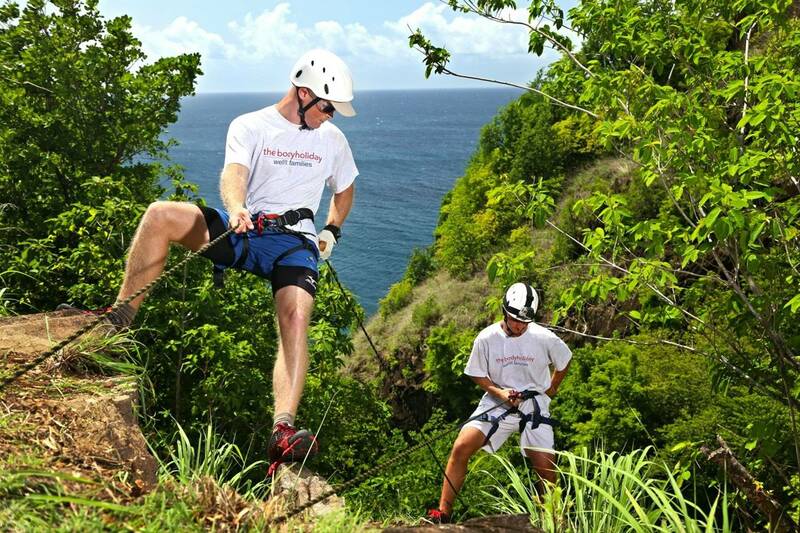 St. Lucia is the perfect island paradise in the centre of the Caribbean. A good diet is one of the four pillars of well-being at BodyHoliday and they are very specific about the products that they use. 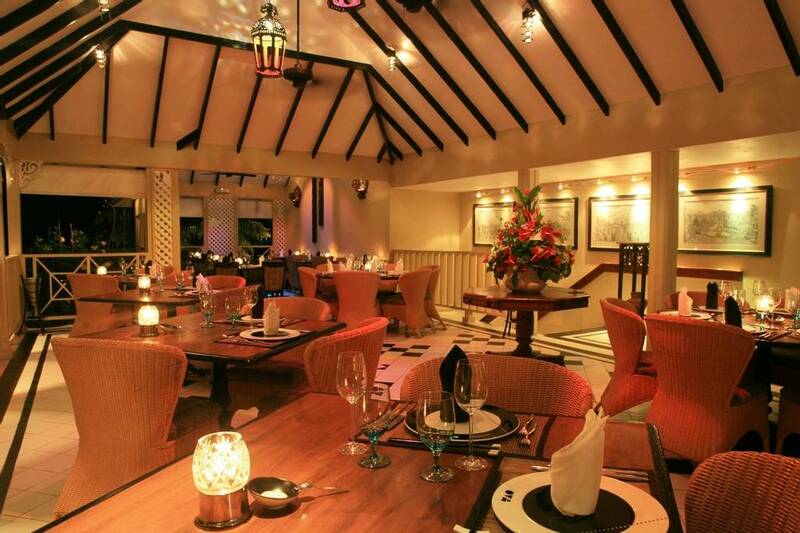 The quality of the food at the four bars and restaurants is important to them. 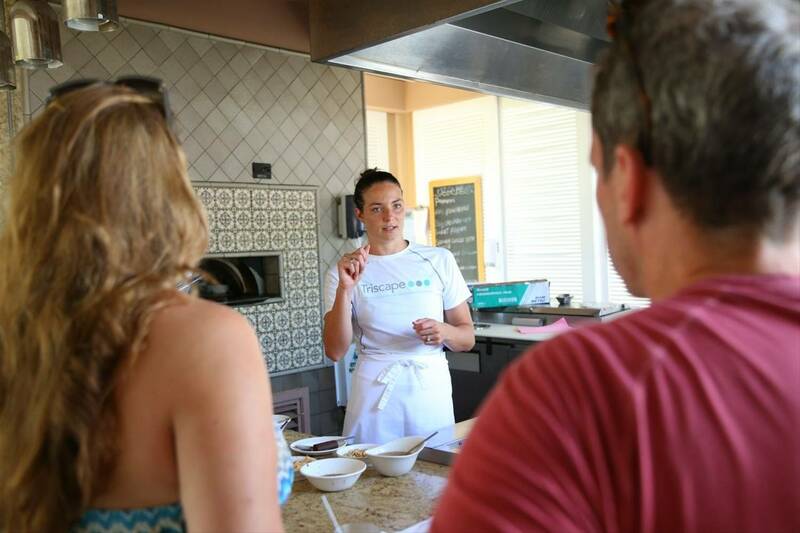 It has to be fresh, beautifully prepared and where they can, they use locally grown produce. 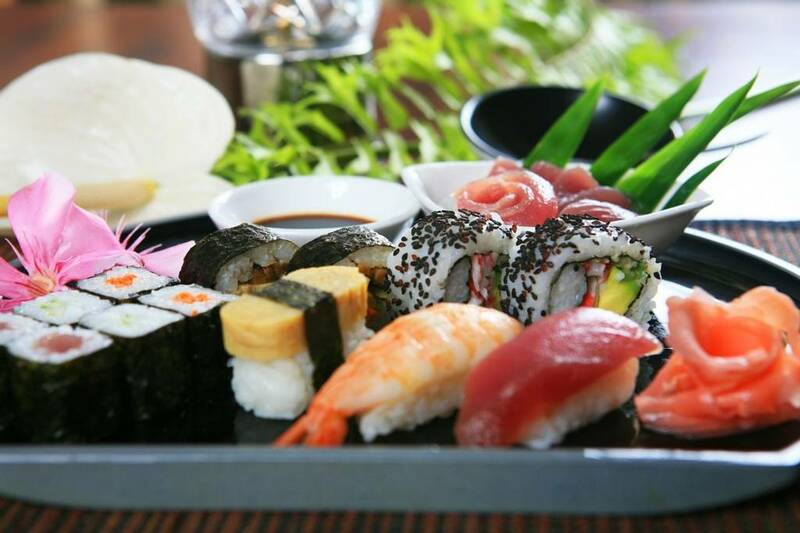 This award winning restaurant is one of the finest restaurants in the Caribbean and is a unique culinary fusion of East and West. Right at the centre of the action, the Clubhouse is the perfect place for a drink, a spot of afternoon tea, an evening meal or a night time show. 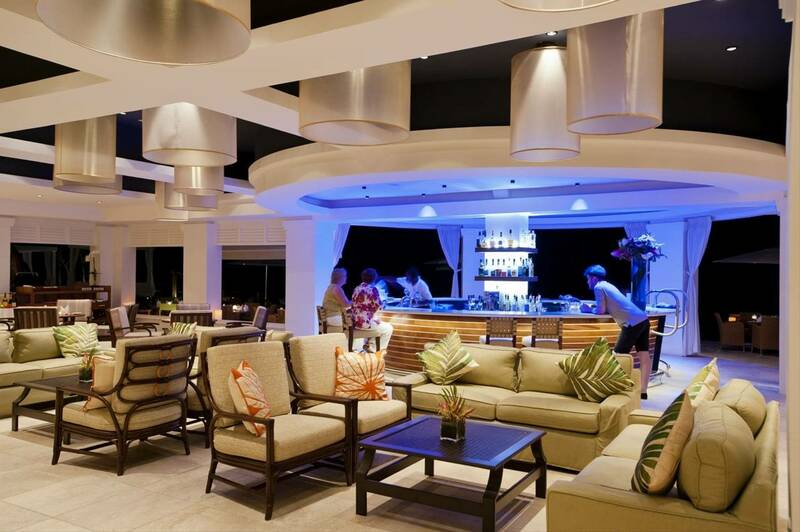 Set on the beach, this restaurant is open breakfast to dinner and uses fresh tasty ingredients for some beautiful food options. Perfect for anything from a mid-morning coffee to a salad or sandwich, The Deli is perfect for simple, light dining. 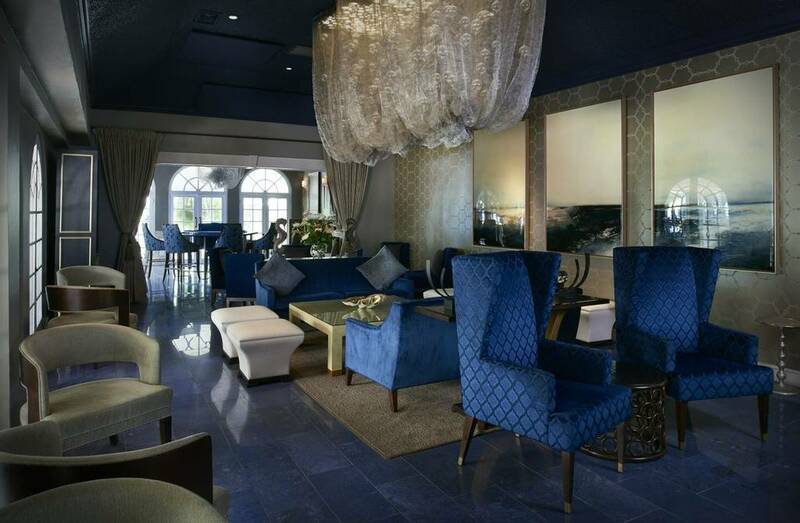 Enjoy your favourite drink or a new cocktail whilst you let the resident pianist entertain you. 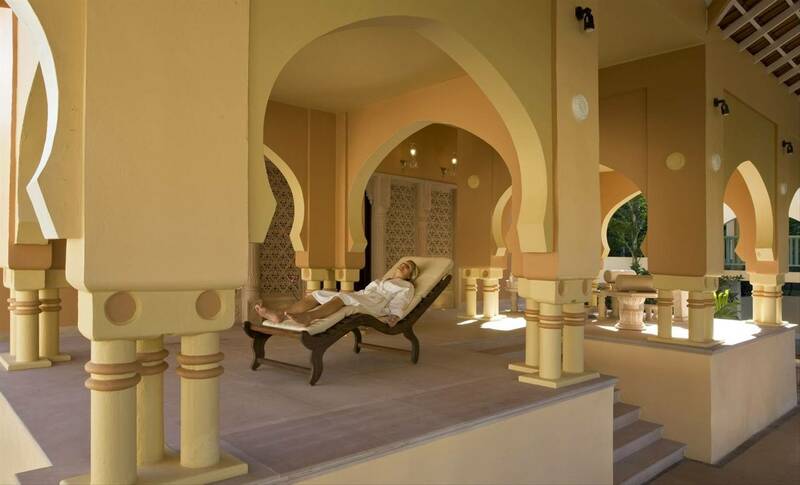 Daily spa treatments are included as part of the all-inclusive offering. This excludes treatments on your arrival and departure days. You must be 16 or over to receive spa treatments. Over 16's only, except during traditional spring, summer and Christmas school holidays where the minimum age is 12. There are 155 rooms at BodyHoliday where you can relax in peace and quiet. The rooms come in different shapes and sizes but each one offers total comfort and privacy. 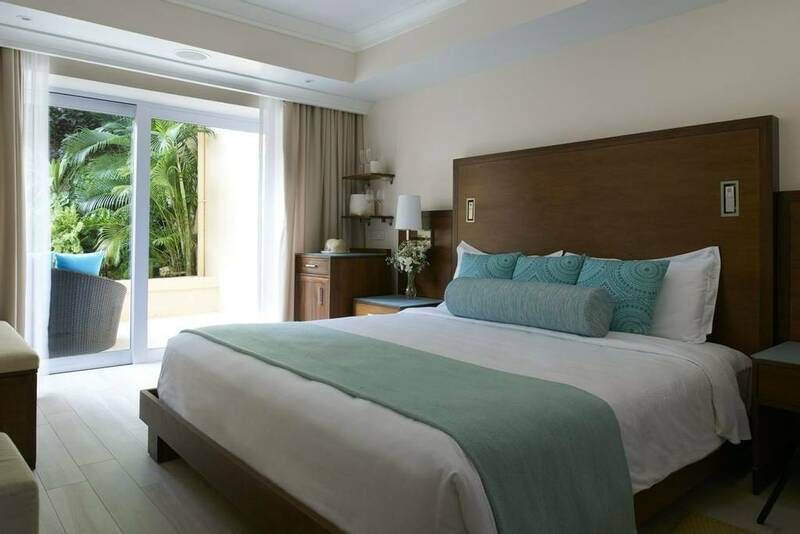 You can choose from a single garden view room, to the luxury ocean view and ocean front rooms, or you may want the extra luxury of a suite, of which there are several combinations, including the penthouse suite. 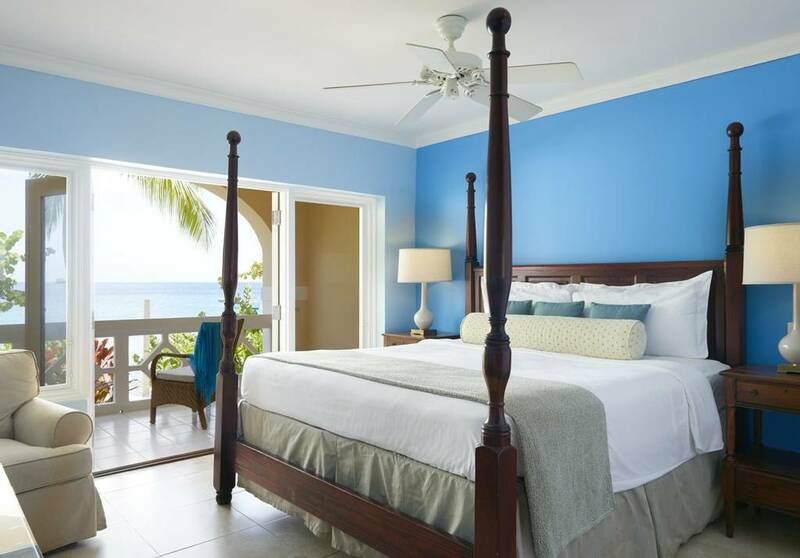 Enjoy your island getaway in one of The Garden Rooms at BodyHoliday. The Garden Rooms are perfect for single travellers. They are generously proportioned and fabulously furnished with Pulaski Collection furniture and a queen size, four-poster bed. Every Garden Room has a garden view. These rooms are also ideal for teenagers whose parents are in residence. 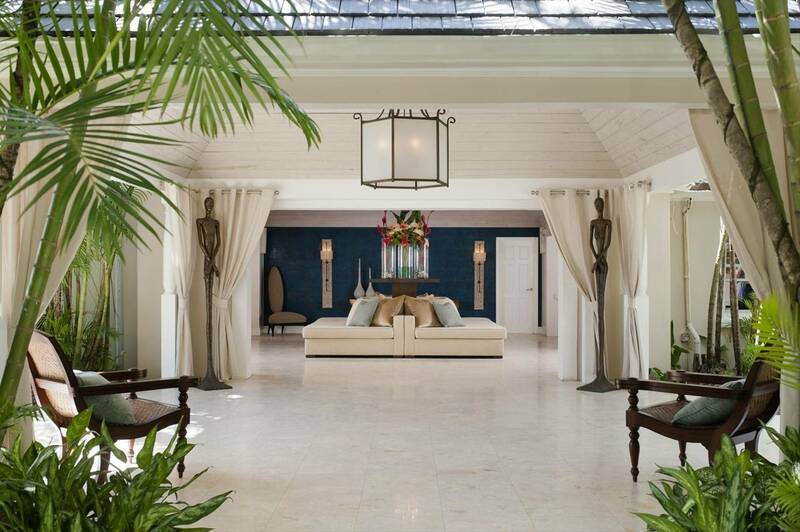 The Luxury Room is the epitome of Caribbean luxury and one of the reasons BodyHoliday is one of the top St Lucia hotels and resorts. The Luxury Room is located on the ground floor of our elevated four-storey building overlooking the garden. 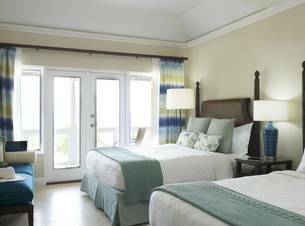 Each Room has a mahogany king size bed or two queen beds. The room also has a mahogany-top writing desk, an armchair and lounge chairs. The bathroom exudes luxury all the way with marbled sinks and Kohler Body all-over jet showers. The Luxury Ocean View Room is located in an elevated four-storey building. 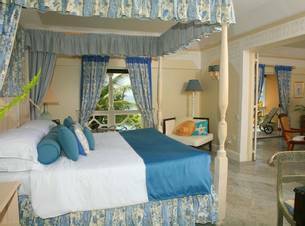 Each room has a four-poster, mahogany king size bed or two queen beds. The room also has a mahogany-top writing desk, an armchair and chaise lounge. The bathroom has a granite vanity with one sink and a Kohler Body all-over jet shower. 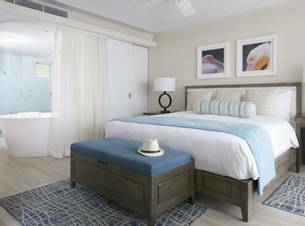 The Luxury Ocean Front Room is located adjacent to the sea where you can hear the sea breaking in front of your balcony. 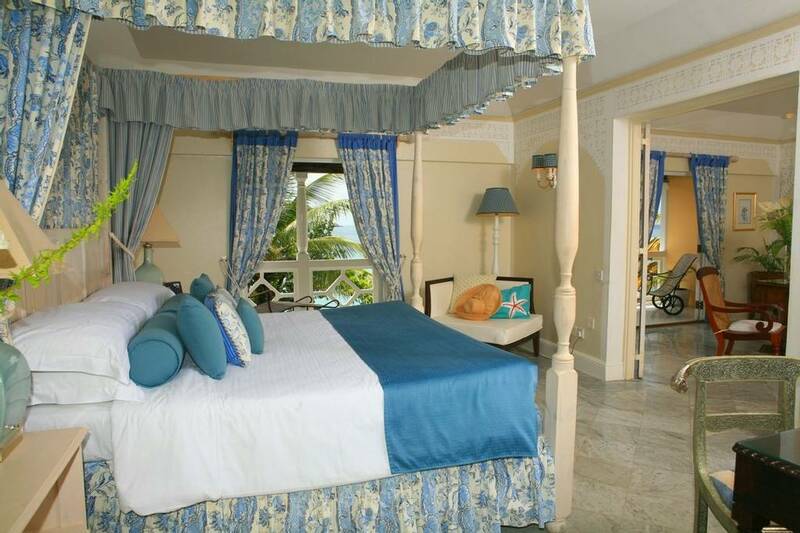 The bedroom is furnished with either a mahogany king size four-poster bed, or two twin beds. The floors are finished in natural stone and cedar wood, adding brilliance to the luxurious finish. 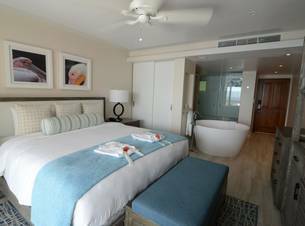 Located in a four-storey building with a panoramic view of the Caribbean Sea, this newly refurbished room is richly furnished with a large stand-alone bathtub and a large king size bed. 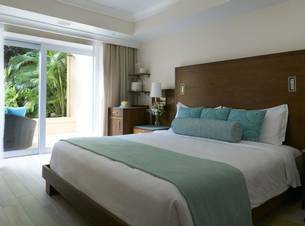 There's a mini fridge, a fabulous large marbled bathroom with bath and shower, marble make-up vanity unit, separate marble sink vanity and a generous balcony dressed with patio furniture, overlooking the Caribbean Sea. 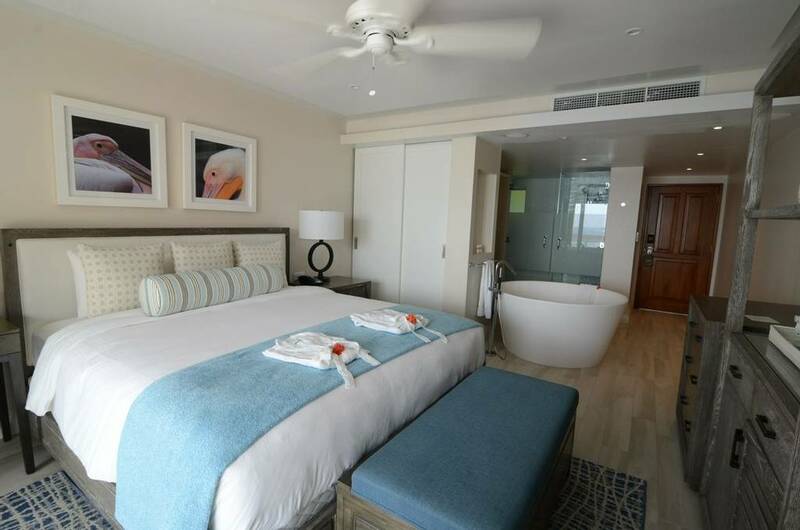 This Grand Luxury Ocean Front Junior Suite is one of the most beautiful at our luxurious St Lucia resort. 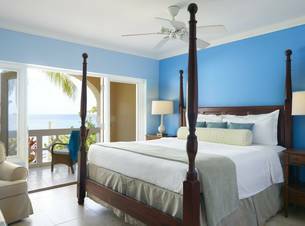 The suite is furnished as the Grand Luxury Ocean Front Room but with the added luxury of a comfortable and beautifully furnished sitting room area. 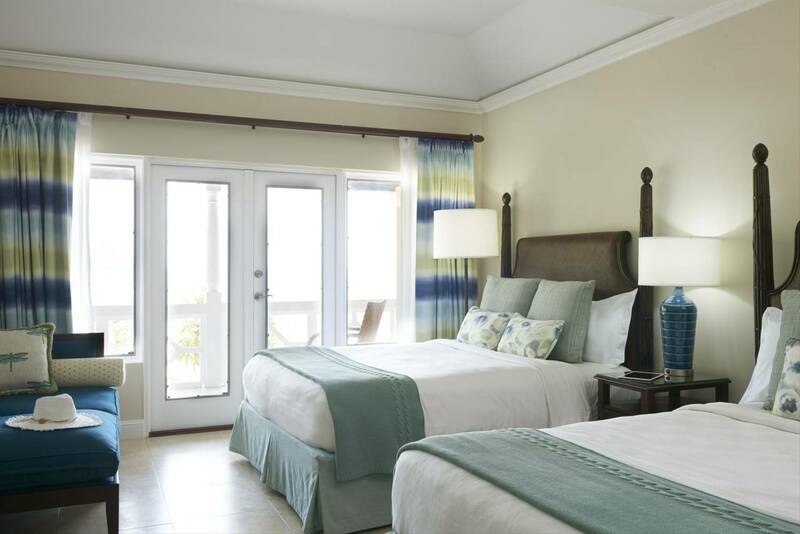 The Grand Luxury Ocean Front Suite is located on the top floor of a two-storey building adjacent to the sea. It has two separate rooms - a bedroom and living room that are divided by a double door. 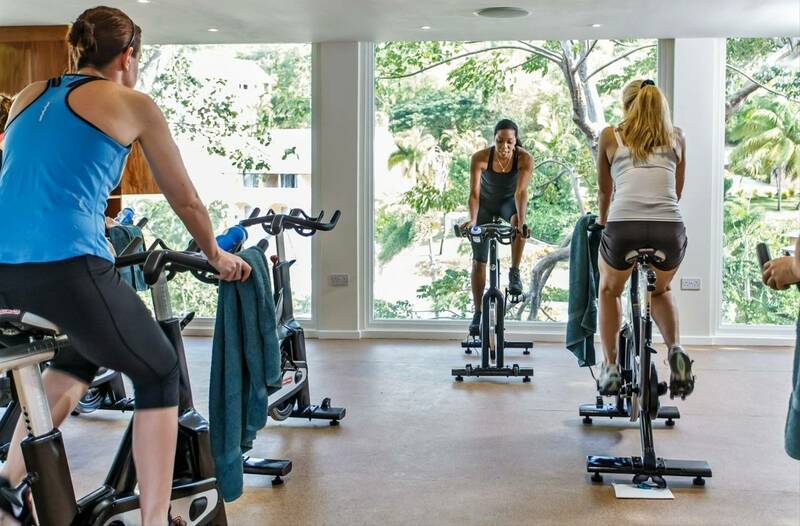 BodyHoliday boasts an award-winning spa, class studio and a range of mind and body classes, as well as the option for personally designed programmes that focus around your specific areas of need. Most guests have common goals of weight loss, body toning and stress relief, so all spa treatments, therapies and activities are geared towards these. The BodyAware programme also uses a holistic approach to improve your nutritional habits and encourage a regular exercise regime. From its inception, BodyHoliday has strived to deliver a personal service of spa treatments, therapies and activities based on the four pillars of exercise, good diet, restorative beauty and relaxation. Your wellness experience is of the utmost importance, with a specific emphasis put on healthy eating, lifestyle, yoga, massage and herbal remedies. 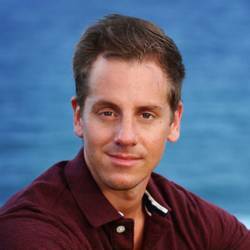 They use holistic Ayurvedic treatments that aid in a healthier and more balanced lifestyle and also have a Training Academy that is dedicated to excellence in the training and practice of its participants. - A Sunset experience comprising of a bottle of sparkling wine, or wine served along with appetizers delivered and serviced on your balcony or patio at sunset on an evening of your choice. 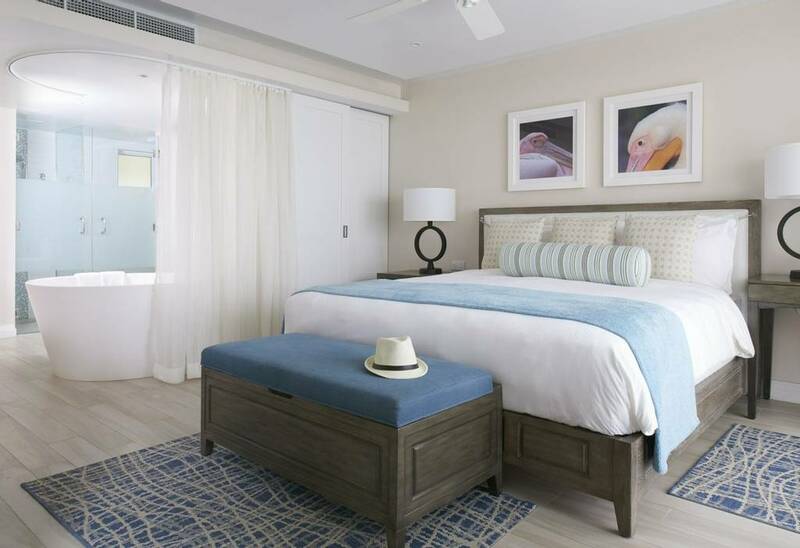 This is combinable with Early Booking Bonus and the resort must receive proof of anniversaries or wedding certificate for honeymooners in advance. Guests celebrating other anniversaries will receive a bottle of Champagne and a fruit platter on the celebration day. This is precisely what BodyHoliday has in mind for its guests; the attention to detail, the thoughtfulness of the service and the in-house expertise make BodyHoliday not only a very special place in paradise, but also a great option for anyone looking for an all-inclusive wellness holiday to re-connect with nature, have fun and get the mind and body back on track. 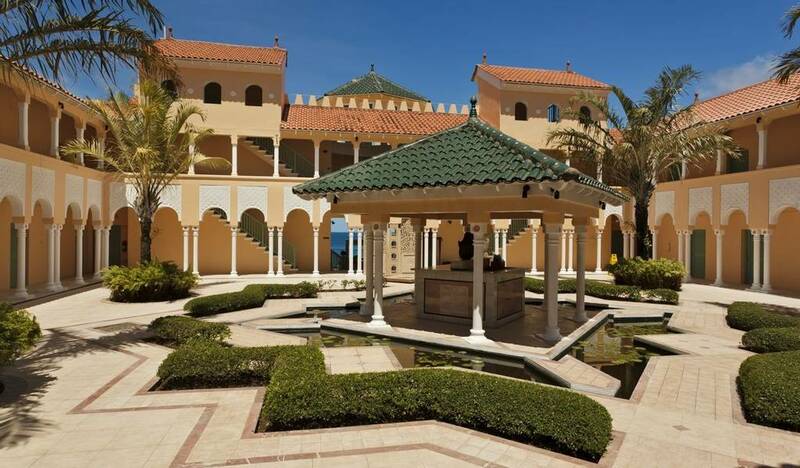 The hotel, facilities, staff, activities and spa treatments are excellent. Location is perfect and it’s the ideal resort for everyone including solo travelers, couples, and groups. Everybody seems to get along and integrate. The general manager made himself very visible and spoke to each guest ensuring that we were all happy with everything. It’s the kind of attention to details that really impressed me. BodyHoliday is a beautiful resort. The fact that it includes spa treatments and all the activities is wonderful. I enjoyed every minute of it. 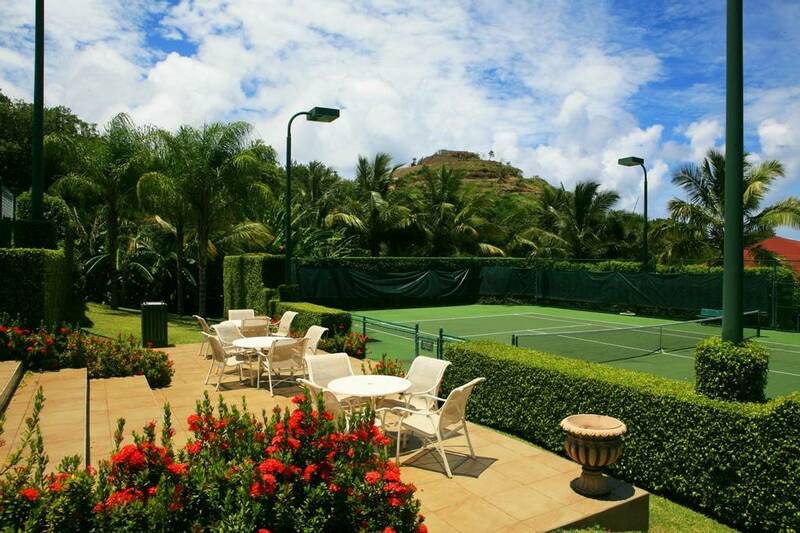 Tennis coaching for me was the highlight of my stay, along with spa treatments perfectly timed at the end of each day after a lot of exercising. It’s a genuine all-inclusive place, no hidden extras. The communal dining table worked really well for me too. The staff always knew our names and remembered us. I made lots of friends through the tennis and by dinning using the communal table. 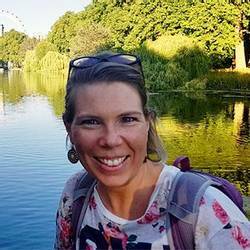 My sincere advice is ‘Go for it!’ It has everything you could want, from the amazing and endless exercising possibilities to being the best place if the world for solo travellers. A holiday to remember! I feel so much healthier, fitter and happier. 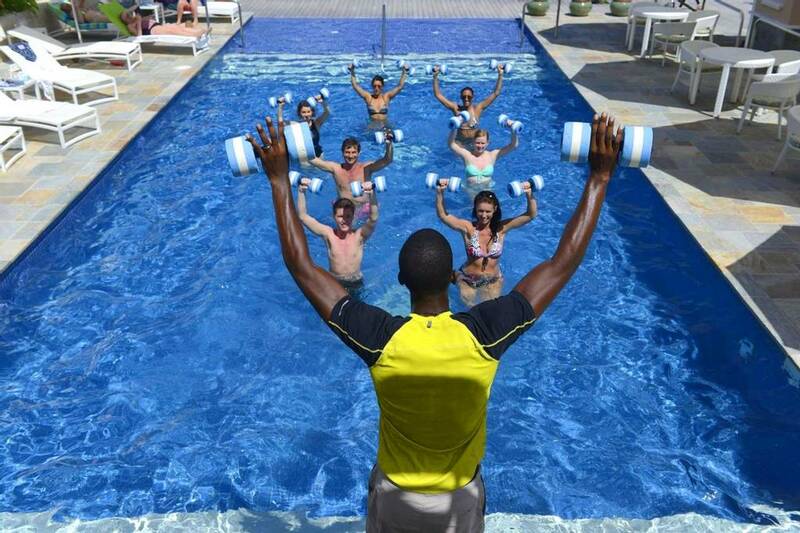 BodyHoliday is a great combination of sun, beach, fitness activities and spa treatments. Expect exceptional staff, great food and an unbeatable atmosphere. They make it easy for you to eat healthy but it is also great to have a Pimms in the afternoon and wine with your meal. I’ve been back home for over a week now and it still feels like the most amazing dream! BodyHoliday is the Dorchester of spa holidays; you’d have to have serious problems if you had any fault with it. The service is exceptionally good, the classes are outstanding and the one spa treatment per day just completed what can be easily called a dream holiday. I travelled by myself and made some great friends who I will be meeting up there again next year! There’s no other destination that could give me the same, so I have now officially stopped looking! Thank you for introducing me to such a wonderful destination! I’ve booked my holiday with Health and Fitness Travel and want to say thank you for such a superb service! I was forced to cancel my travel plans with another company and they worked with me and BodyHoliday to rebook my stay for 5 days later. I’m so thankful! They really took the time to check all possibilities and the best outcome for my holiday! They resolved a very frustrating situation for me with excellent communication and professionalism throughout. I have been so impressed with the service which Health and Fitness Travel provided to me and I will not hesitate in recommending them. I travel to BodyHoliday every year and will be booking my next stays with them again and again. I loved the diversity of activities, the variety of food options and the amount of spa included! I’ve made an ample amount of amazing friends - it was VERY well catered to solo travellers. If you are going to BodyHoliday I recommend going by yourself as it's the perfect place for people travelling by themselves. It gives you lots of opportunities to be social but also plenty of alone time. You can really make the vacation to be exactly what you want it to be. My holiday at BodyHoliday exceeded all of my expectations! It was the best value for money holiday I have ever had! Health and Fitness Travel was excellent at customer service. Words can't describe how good my stay was! The classes, the treatments, the sunset cruise, the beach… everything! My honest advice is, don't hesitate to book it! 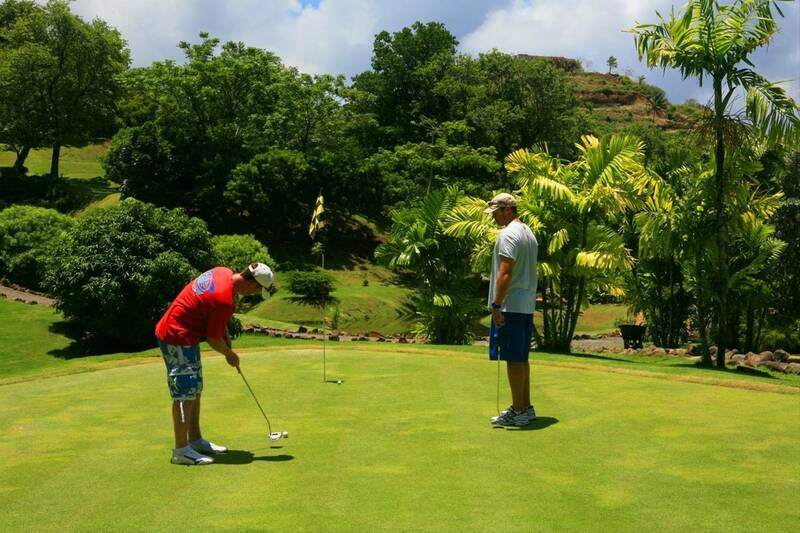 Try to go for 2 weeks, you need time to relax and time to enjoy all that the resort has to offer. And also, try to travel solo! My goodness! What an fantastic holiday! The best one I have ever had, by far. I've already recommended it to lots of people and cannot stress enough more how wonderful it was. 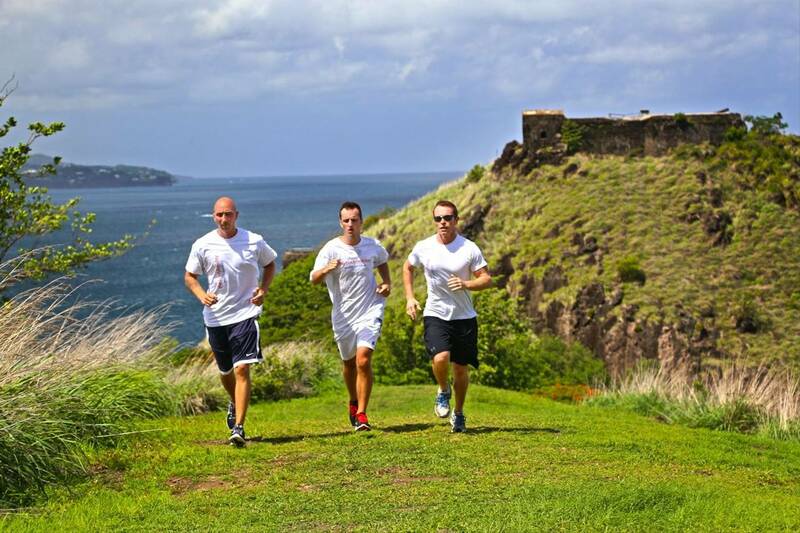 Health and Fitness travel was great at suggesting it to me at organising it all. Great work, guys! Thank you. Best place in the world for single travellers, everything is designed to make you feel comfortable and relaxed, interacting with other fellow travellers as much as you feel like. Location is beautiful and the variety of activities is second to none. Overall, the most perfect holiday I could ever dream of! It was the perfect holiday for me! The selection of activities is fantastic. All very organized, warm and the staff is so welcoming, the treatments were tailored to my specific needs and the staff knowledge helped to guide me as to the appropriate treatments that would further be helpful to me. With regards to my fitness goals, I was able to test my limits with the support of the fitness team. They were great! My favourite things were the dance classes and the evening activities. I really appreciated the US $250 credit from Health and Fitness Travel - it helped with the extra treatments that I needed for my muscles. If you are travelling solo, it’s the best place to be. Staff made sure I was comfortable and it was great to be able to share a table with other guests who were also friendly. It really was the perfect holiday, the perfect balance of physical activities and relaxation! This is a great hotel to stay in. It has everything you could ever need in one place. Lots to do if you it's your thing or just relax by the pool or on the beach. Fantastic friendly staff who cannot do enough for you. Rooms are large clean and inviting. We had a luxury ocean view room but expect that all rooms are of a high standard. No TVs in the bedrooms but we were provided with an iPad. Food and choice of food and restaurants excellent, you will not be disappointed. 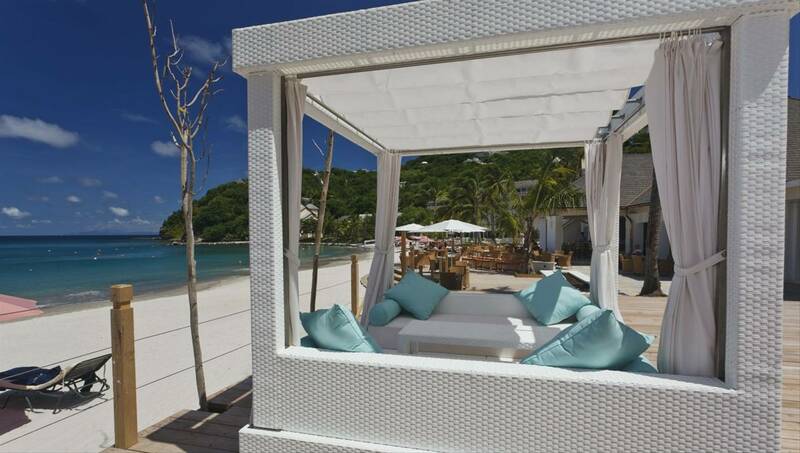 Highly recommend that if you plan on visiting St Lucia that you stay at the body holiday. I do hope to be back in the future. We have just returned from our first visit to The Body Holiday hotel and had a fabulous holiday. 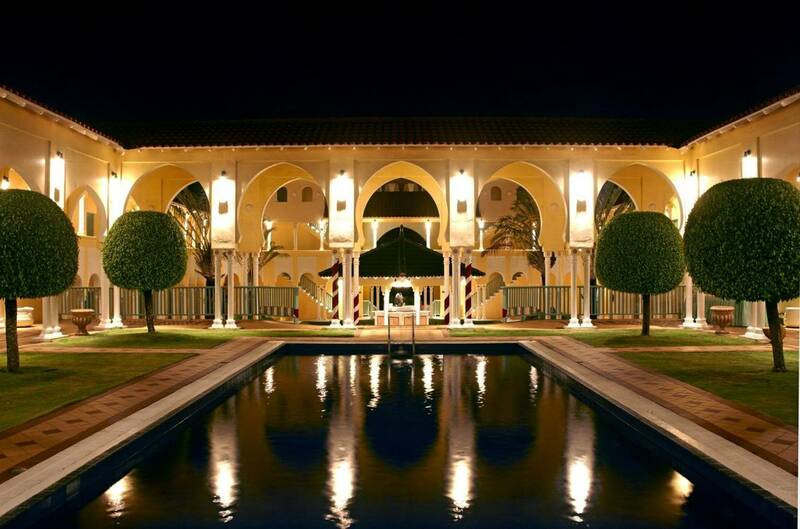 The resort is very private with superb amenities. Spotlessly clean, well equipped and all the activities offered were all first class, with excellent coaches and instructors. The food was faultless and the spa outstanding. This hotel offers so much but one thing it truly excels at is the service by the staff - the staff are the most polite, hardworking, accommodating and friendly we have ever come across. We had such a wonderful holiday we are already looking to book to go again in the spring! I had a great holiday. I was really pleased with Health and Fitness Travel, everything was perfect from the finding of the holiday to the support received throughout the booking process. It was great that you found such a perfect holiday based on listening into my requirements. The resort itself was amazing, facilities were perfect and the activities were varied and suited me perfectly!! The spa credit was also great touch. 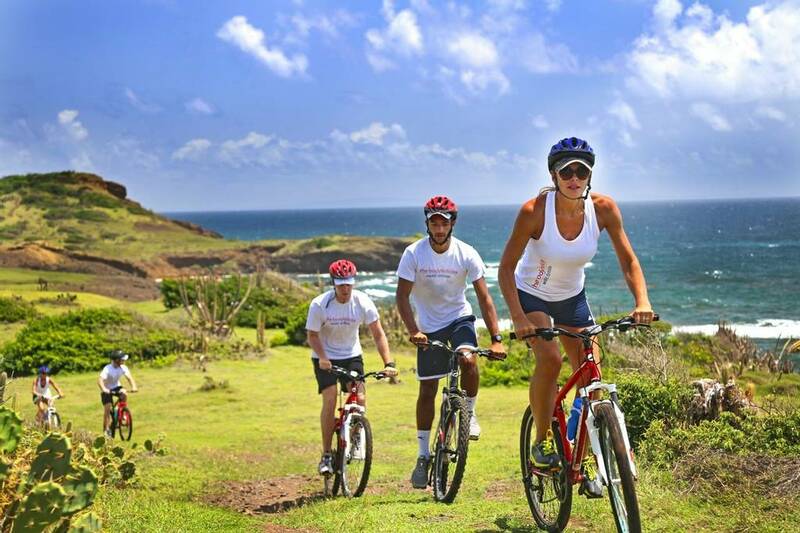 Choosing from an array of daily activities, from group fitness classes to water sports, you can make your holiday as active or as relaxing as you wish. With communal tables, group activities and many like-minded singles, you will never feel lonely and always enjoy good company. The Piano Bar and Clubhouse are particularly popular hubs to socialise and bring an exciting day to a close. The friendly staff, ranging from attentive waiters to enthusiastic fitness instructors, focusses on making your stay as memorable and pleasant as possible. 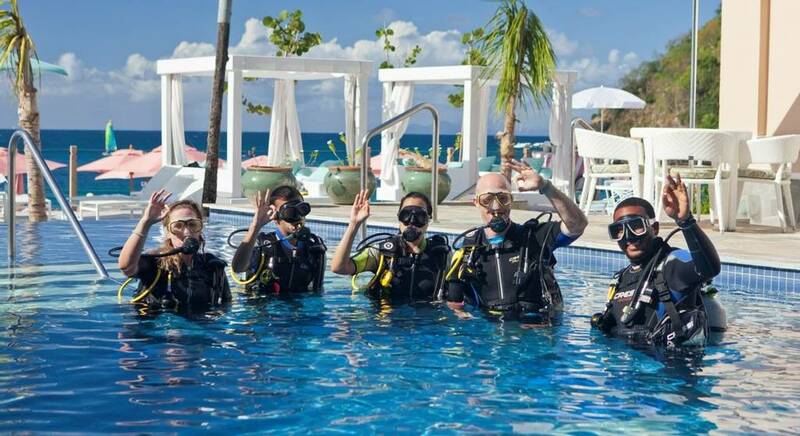 Despite its notable size, the family-owned resort still manages to spread a warm and personal atmosphere in which you’ll feel welcomed and valued. This is probably the main reason for the high-rate of returners. 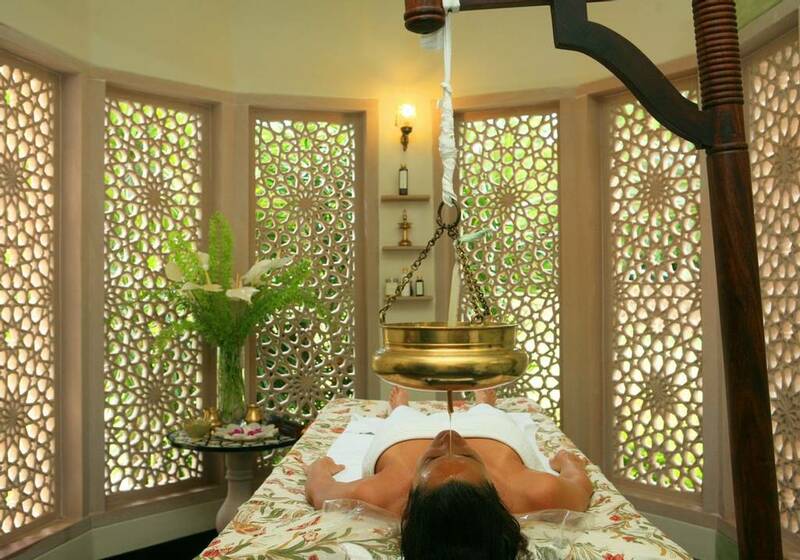 Apart from a large range of invigorating activities to choose from, you are also offered a daily spa treatment at the renowned Wellness Centre to pamper and improve well-being. 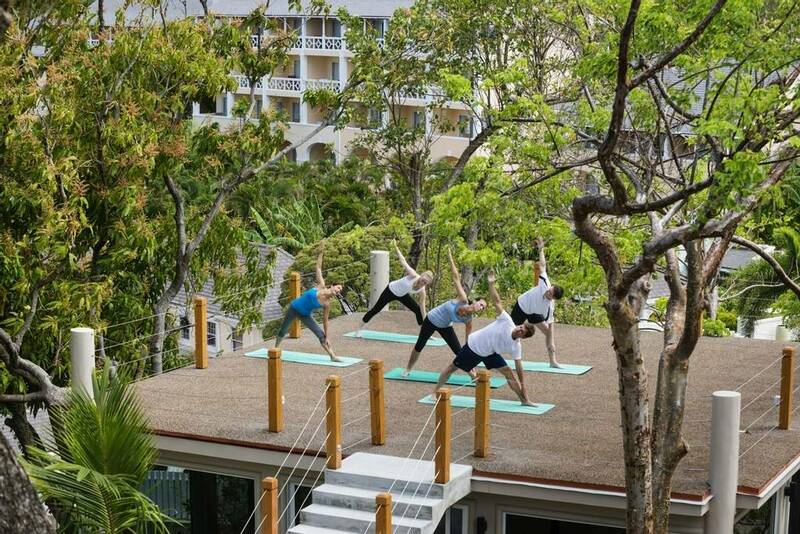 The amount of activities they offer is astonishing; whether you want to focus on fitness, relaxation or mindfulness, the programme allows you to tailor your perfect holiday to suit your needs. Due to its location in a secluded cove, the resort is rather isolated, and requires catching a taxi in case you want to explore areas (of the island) outside the facility. It can be tricky to find many elements showing authentic parts of the Caribbean culture; most of the guests are British, so the music, food and entertainment are designed to meet their standards. The extensive spa menu is too tempting to just have one all-inclusion daily treatment. 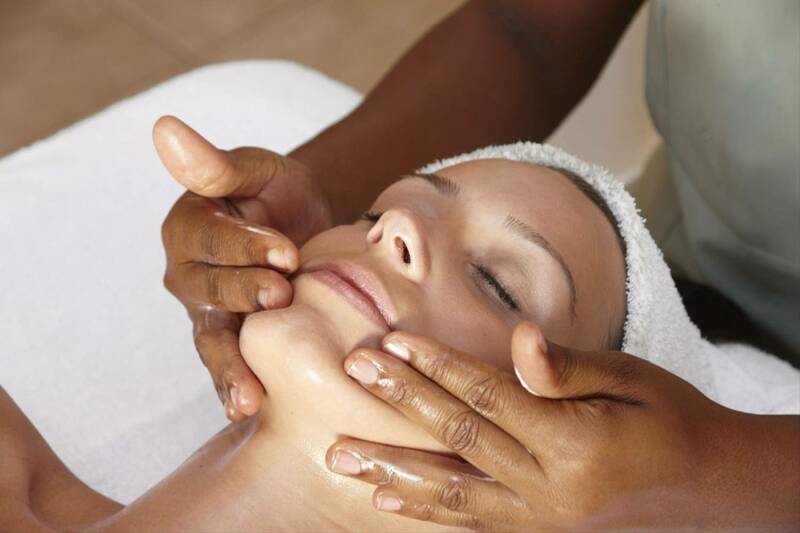 Treat yourself to some additional treatments to enhance your luxurious wellness experience. 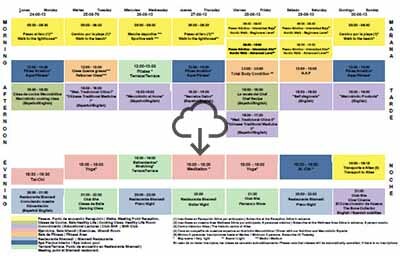 The all-inclusive programme offers good value, however, it manifests itself in the buffet offering that can sometimes lack in variety and creativity. 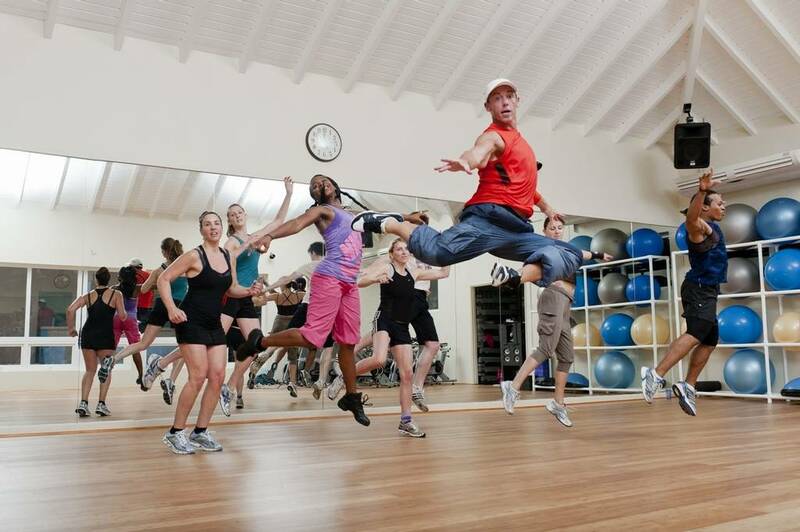 Late risers should watch out so that they don’t miss out on all the fun since many fitness and sports classes start quite early in the morning.